Norway may be taking the first steps towards a domestic market, amid multiple initiatives for increasing offshore wind (OW) related exports. Norway has set a renewable target of 67.50 per cent of total energy use by 2020. New renewable electricity production is supported through the co-operative el-certificate scheme. Of the total capacity in the system, Norway is financing 13.20TWh, and Sweden 15.20TWh. Norway will achieve 13.20TWh towards its renewables target, irrespective of where the physical installations are built. The certificates are non-technology or country specific, and tradeable on a common exchange. From 2021, Norwegian projects will no longer be eligible for el-certificates. Sweden continues with the scheme through to 2030 with an additional 18 TWh target. 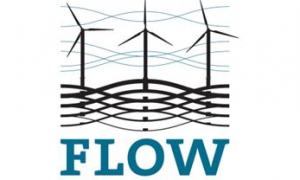 The Norwegian Ministry of Petroleum and Energy has tasked the Water Resources and Energy Directorate (NVE) with providing a framework for future build-out of on-shore wind. No such plans have been made for offshore wind. Nonetheless, the ocean energy law (Havenergilova), regulating offshore wind in Norway, calls for zones to be opened to licensing applications. The NVE has presented an assessment of areas to be considered for offshore wind. Expectations are for the Ministry of Petroleum and Energy (OED) to open two zones for offshore wind development in the near future. At the same time OED is set to publish the secondary regulation which will underpin the licencing process for offshore wind. Previously Parliament has asked for a support scheme for demonstrator projects by 2017, and this process is still pending. The Federation of Norwegian Industries, Norwegian Shipowners’ Association and NORWEA on November 9th, 2017 presented a list of 16 points that should be part of a comprehensive strategy on offshore wind. There are no commercial offshore wind farms in operation or under construction in Norway. In addition to the 2.30MW HyWind floating demonstrator, two other 10MW demonstrator licences exist in the waters around Karmøy in Rogaland. There is a 10MW demonstrator licence for floating installations near Stadt in Sogn og Fjordane. Additionally, there is currently a process underway to realize a long-standing 350MW commercial offshore wind licence in the Norwegian Sea, named Havsul I. Energy company Equinor, together with its partners at the Gullfaks and Snorre fields have made public ambitions to realise an 88MW floating wind farm under its Hywind programme. The idea is for the 11-turbine construction to power oil and gas installations. While no domestic market exists, both Equinor and Statkraft are Norwegian companies with experience in developing and operating offshore wind projects. Statkraft, however, has announced that it will not be engaging in new offshore wind projects. Equinor has completed installations of the spar-floatingconcept based HyWind Scotland wind farm, anchoring five 6MW turbines at 96-101 metre depth north-east of Aberdeen in the North Sea. Equinor co-owns the HyWind Scotland project with UAE-based energy company Masdar. Norwegian companies are represented in the market for – among other – jack-ups for installation, the building of service vessels, crane and access equipment, production planning and control software as well as weather forecasting. The Norwegian global market share for offshore wind related products and services are around 5 per cent, making offshore wind related export the largest Norwegian renewables export.